Are you hiring an employee or a contractor? This is an important question often overlooked by business owners. 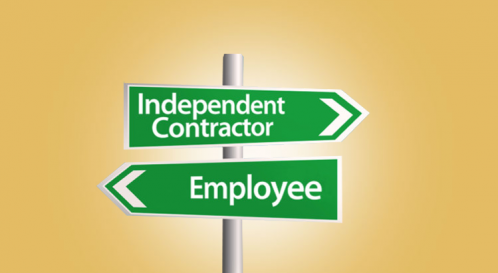 The difference between an employee and an independent contractor is based on many different factors. No single factor determines whether someone is an employee or a contractor. Instead, the Courts will look at each case and make a decision based on the totality of the relationship between the parties when determining the status of an engagement. Independent contractors issue invoices (or tax invoices if registered for GST) whereas employees are paid regularly (weekly, fortnightly or monthly). Employees are entitled to the benefit of the rights under the Fair Work Act 2009 (Cth) (FW Act) and any relevant Award or industrial agreement (including for things such as leave, overtime etc) as well as having the compulsory superannuation contribution paid to their superannuation fund. Employees have tax withheld and paid on their behalf to the Australian Taxation Office where as an independent contractor will pay their own tax to the ATO (and GST if registered for GST). If you pay someone as a contractor when they are really an employee, the employee may miss out on important benefits such as leave entitlements and superannuation. Although you may have paid the agreed rates or price and any applicable GST, the employee may be able to pursue the business that engaged them for those unpaid entitlements and the employer may be prosecuted. Also, if the “contractor” doesn’t pay tax, the employer may be liable for the tax that ought to have been withheld. Many businesses that deliberately arrange in “sham contracting” (where a person ought to be an employee but they are engaged and remunerated as a contractor) are penalized by the Fair Work Ombudsman under the FW Act. Another unexpected consequence can be that where those engaged as independent contractors are not actually independent at all (for example where they do not provide services to any other businesses) or are really employees can be the issue of payroll tax payable to Revenue NSW under Payroll Tax Act 2007 (NSW). Contractors can be deemed employees for the purpose of payroll tax if they don’t offer their services to the general public, working only for one business. This document was sourced from McKillop Legal’s blog by Integrated Planning Systems Pty Limited ABN 21 051 429 184 trading as McKillop Financial Planning, an Authorised Representative of GWM Adviser Services Limited ABN 96 002 071 749 trading as MLC Financial Planning, Australian Financial Services Licensee, 105 – 153 Miller St, North Sydney NSW 2060, a member of the National Australia Bank Group of companies. The information is current as at 06 April 2019.